Our goal is to connect people with the best local experts. We scored wedding photographers on more than 25 variables across five categories, and analysed the results to give you a hand-picked list of the best wedding photographers in Naples, FL. 41 Photo and Video, centered in Estero, is a wedding photography studio whose service area encompasses Naples, Fort Myers, Sanibel, Port Charlotte, Punta Gorda, Cape Coral, Captiva, and Marco Island. The husband and wife team consists of two longtime professional photographers who interact closely with their subjects and clients. In addition to photography, they can perform hiigh-quality videography, combining documentary and cinematic styles. Aimee Rossi Photography, centered in Naples, works at weddings throughout the area. Ms. Rossi has been working as a photographer for more than a decade, over which time she has shot over 200 weddings. These included local ceremonies and receptions as well as events in Bahamas, New York City, West Palm Beach, Sanibel Island, Marco Island, Key West, and Naples. Andrew Do Photography, in Naples, can work is available for weddings in and around the area. Andrew Do is a trained, experienced photographer whose work has been featured in Brides Magazine, Project Wedding, and other bridal publications. Additionally, he has won a "Couple's Choice Award" from the website in WeddingWire. Avant-Garde Images, Inc. is owned by long time photographer Peggy Farren. She also runs Boutique Destination Weddings, which specializes in small beach weddings and Understand Photography Training Center. Peggy and her team cover weddings, large and small, all over the southwest Florida area. Brooke Price Photography, based in Bonita Springs, works at weddings all over the greater Naples community. In addition to working throughout Southwest Florida, Brooke Price can provide her services at destination weddings across the world. Ms. Price, who opened the studio in 2010, specializes in creating photos that are not just beautiful, but emotionally impactful. To do this, she combines an artistic style with a photojournalistic, storytelling approach. By Imagine Photography, headquartered in Cape Coral, is a photography studio with corporate, family, portrait, boudoir, and wedding photography services, among additional options. Wedding service packages begin at $895, and rising depending on such factors as the number of photographers, the format(s) of the final product, and other parameters. Charlie McDonald Photography, formerly known as "Summer Breeze Photography," is a Naples photography studio with a range of service options for commercial clients, graduating seniors, families, families celebrating quinceaneras, and event planners, as well as families celebrating weddings. Mr. McDonald has been a professional photog for more than two decades, and he formally studied the art of photography at the New York Institute of Photography. Creative Imaginations Photography is a Fort Myers photography studio that opened in 2004, now serving people in Naples and other nearby cities. In addition to wedding photography, the team at Creative Imaginations Photography is experienced in maternity and newborn photography, family portraiture, and other genres. Clients interested in the business's simple, candid wedding photography should note that Creative Imaginations Photography's weddings division is entitled "Wanderlust Imagery." Eileen of Eyeleen L Photography has been passionate about photography since childhood. She loves meeting new people and providing a unique solution to her clients' photographic needs. She specializes in creative portraits, weddings, and real estate photography. Hunter Ryan Photo is a Fort Myers photo studio that delivers its services to weddings in Naples and other nearby cities. The business consists of Cody Hunter and Tiffany Ryan, a husband and wife team who relocated from Colorado. They take an artistic approach to their work, often using black-and-white imagery, and currently, have a stunning 5.0 score on the rating website WeddingWire. Island Coast Photography is a Cape Coral photography studio located in Cape Coral, also operating in Fort Myers, Naples, Bonita Springs, Sanibel, and other cities in the area. The business is a member organization of WeddingPhotoUSA, and it has been featured on the website Decidio. Wedding service packages begin at $395. For detailed pricing information and a full portfolio of Island Coast Photography's work, including business and family photography samples, clients should peruse the studio's website. From the Cape Coral-based photography studio Jamie Lee Photography, Naples Metro clients can receive full wedding photo services. Owning and operating the business are Jamie and Brian, high school sweethearts who have been married since 2009. 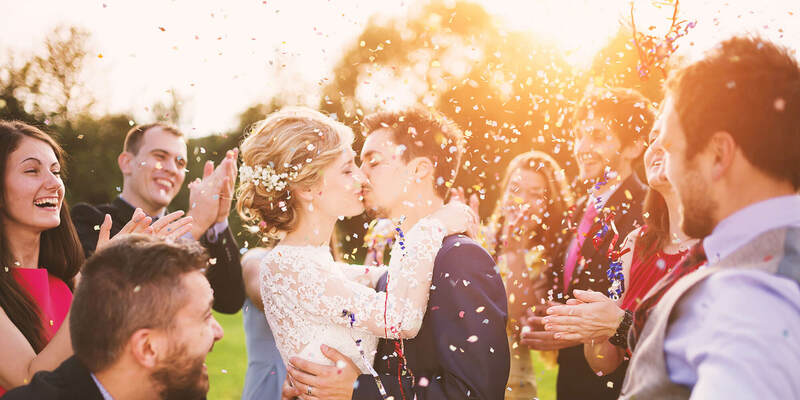 The team's work has been published in numerous bridal publications, including Style Me Pretty, The Celebration Society, The Budget Savvy Bride, The Inspired Bride, A Paper Proposal, and The Knot. Joe Capasso Photography, centered in Naples, operates at weddings throughout the area, snapping photos of ceremonies and receptions. Mr. Capasso has been experimenting with photography since the eighties and working professionally in the field since 1998. He graduated from Temple University with a degree in Journalism, and after several years working in broadcast news, became a photographer full-time. He is available for boudoir and architectural photography, as well as wedding photos. The owner and sole photographer of Mark Block Photography is a seasoned professional who has worked throughout the Naples area, including the city itself as well as Marco Island, Sanibel Island, and Fort Myers. Mr. Block uses creative lighting, often utilizing natural light sources, and he takes images of weddings, engagement parties, and families. His medium format film photos have been featured in such publications as Martha Stewart Weddings, Bridal Guide, Southern Weddings, and Marco Island Magazine. The owner, namesake, and sole photographer of Naples-based Michelle Reed Photography has been photographing professionally for over 15 years. Michelle Reed has been featured multiple times in Style Me Pretty's "Little Black Book," has won a WeddingWire Couple's Choice Award (at the time, the honor was still called the "Bride's Choice Award"), and has been selected for The Knot's "Best of Weddings" list. In addition to wedding photography, she is available for commercial photography and family portraiture. Miranda Lawson Photography, in Fort Myers, is available for weddings and receptions in Naples and throughout the area. Ms. Lawson has a detailed photojournalistic style, and she takes the time to carefully develop and edit her photos. Interested clients should check out her website, or, to learn more about her biography and sources of inspiration, view her frequently-updated pages on Facebook, Instagram, and Pinterest. Natasha Cuevas Photography, which is located in Fort Myers, provides its services at weddings throughout the area. In addition to wedding photography, Ms. Cuevas is available for newborn and maternity photography and photography on beaches. Becauise she books quickly, interested potential clients should contact Ms. Cuevas at least three months in advance. Rochelle Shucart Photography is a Naples studio delivering its services to clients all over the city and its suburbs. Although the Ms. Shucart specializes in newborn and maternal photography (including pregnancy, nursing, and other aspects of maternity), she is additionally available for wedding ceremonies and receptions. Rochelle Shucart, born and raised in Naples, has been a professional photographer since 2008. Savor Photography, headquartered in Naples, provides a range of photography options to clients throughout the city and the wider community. Rachel Dunk, the sole photographer, has been working in the field since 2007. Her style combines photojournalistic and artistic techniques, resulting in clean images with a timeless feel. In addition to photographing weddings, she teaches classes online and in-person in Lightroom, Photoshop, and other tools crucial to digital-age photography. Set Free Photography is a Cape Coral studio serving clients in the greater Naples community who are seeking wedding photography service options. Formerly called "Stacy Sullivan Photography," and then "Stacy Marie Photography," Set Free Photography works to capture authentic emotional moments from the wedding. At the head of the business are two photographers who, in addition to being professional collaborators, are spouses.